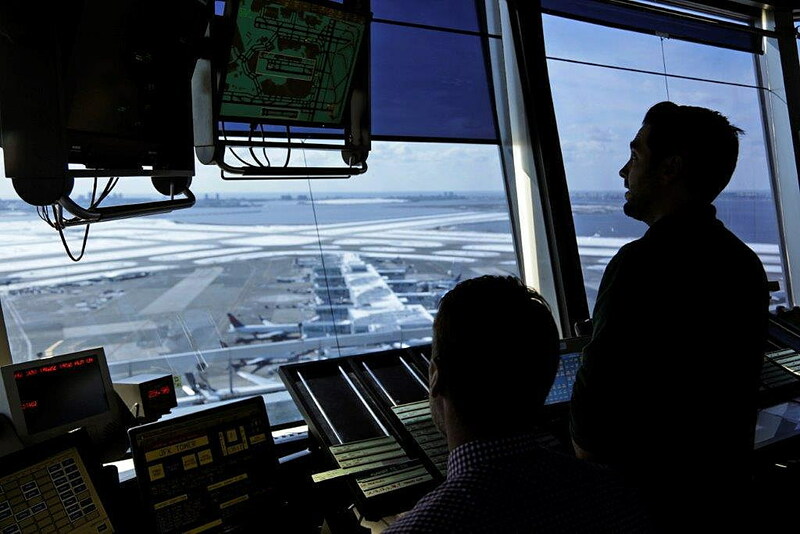 WASHINGTON (CN) – As thousands of workers missed their first paycheck Friday because of the government shutdown, a new federal class action from air traffic controllers details how a handful are struggling to make ends meet. Marking the fourth such complaint since the government shuttered on Dec. 22, the lawsuit today says lead plaintiffs Amanda Fuchs, Kevin Bianchi, Jonathan Barnett and John Garner have all been required to work without pay as “excepted” employees. Fuchs, a single mother of two, says the missed paycheck means will not be able to attend the funeral for her grandmother, who died earlier this week. She also will likely have to put off surgery and might miss payments on a loan she took out against her retirement plan, according to the complaint. Barnett expresses concern that he will not be able to pay for therapies for his son, who has autism, and could face eviction if his landlord, already eager to “reoccupy” the house, does not accept a late rent payment. For Bianchi, according to the complaint, his “very livelihood hangs in the balance,” as he fears his ex could take him to court if he misses alimony payments, which in turn could cause him to lose his security clearance. “Defendants’ ongoing failure to compensate plaintiffs and those similarly situated for their diligent work protecting air travelers from harm violates plaintiffs’ rights under the Fair Labor Standards Act and the Constitution of the United States and poses grave danger to the safety of the nation’s skies,” the complaint states. Represented by Woodley & McGillivary attorney Molly Elkin, the employees seek an injunction, as well as back pay. They brought their suit alongside the National Air Traffic Controllers Association. The Justice Department, which is itself without funding, did not return a request for comment on the suit. The webpage through which reporters must submit press inquiries said messages might not be returned until after the agency is fully reopened. Already the shutdown is on track to become the longest in the nation’s history, trailed by a 21-day shutdown from 1995-96 and a 16-day shutdown from 2013. As the battle shifts to the courts, the continued stare-down between the White House and Congress over money for a wall along the southern border shows a resolution appears no closer in the other two branches. President Donald Trump has stuck by his demand that any bill to reopen the government include more than $5 billion in funding for his long-promised wall, but congressional leadership has insisted he will receive no such money. The House has spent the week passing funding bills one-by-one, on Friday clearing a measure that would provide funding for the Department of the Interior and the Environmental Protection Agency. Lawmakers also passed a Senate-approved bill promising to repay federal employees any paychecks they miss as a result of the shutdown. The White House has promised to veto any funding measure that does not include money for the border wall and the Senate is unlikely to take up any of the piecemeal bills the House passed this week. Trump did say Friday, however, he would sign the bill that promises back pay to federal employees.